Domestic violence cases are highly sensitive with many moving parts. Pleading guilty to domestic violence charges will impact your career, marriage, child custody, immigration status (for non-citizens), and potentially your freedom. To avoid having a violent crime on your record, it is imperative that you hire domestic violence defense attorneys the moment an allegation is made against you. Whether you are facing a misdemeanor domestic violence first offense charge or a domestic violence third offense felony charge, you need an aggressive and experienced team of attorneys to answer your questions and see you through the process. LEWIS & DICKSTEIN P.L.L.C. 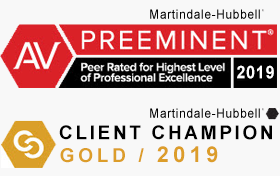 is an award-winning law firm in the State of Michigan who have helped thousands of clients craft a strategic defense for domestic violence-related allegations, resulting in lesser sentences, dropped charges and acquittals at trial. In many cases of domestic violence, there are many versions of a story. An experienced attorney who has experience representing clients charged with domestic violence understands that in some cases, a client is wrongly accused. Granting every client the benefit of the doubt, we listen to the facts of your story with empathy, respect, and open-mindedness. In some cases, the accuser is lying or the accused was merely acting in self-defense. If there is a way to get your charges dismissed or reduced, the team with LEWIS & DICKSTEIN, P.L.L.C. can help. What consequences do I face with a guilty verdict? Under Michigan Penal Code 750.81, a first time offender faces a maximum penalty of up to 93 days in jail, a fine of $500 and up to 2 years of probation with various terms and conditions. A second offense misdemeanor charge carries with it up to a year in jail, a fine of $1,000 and up to 2 years probation. Once a demonstrated pattern is established in a third offense, you are looking at a felony, which is punishable by up to 5 years in prison, up to 5 years on probation, and a fine up to $5,000. Jail time and fines aside, you will face devastating loss in terms of future employability. 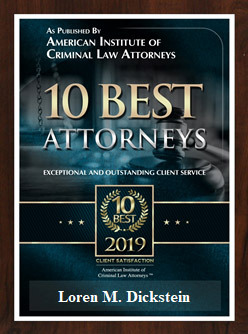 Because of the long-term effects that a domestic violence charge has on one’s life, it is imperative that you enlist the help of Michigan’s toughest attorney teams, LEWIS & DICKSTEIN P.L.L.C. With our help, clients have received lesser punishments, including anger management or community service instead of jail time. In a multitude of cases, we have gotten domestic violence charges completely dismissed. I’ve been charged with domestic violence in Michigan. . . Now what? Before pleading guilty or not guilty, it is vital that you proceed with reputable, experienced legal representation. How you plead can have a significant impact on the outcome of your case. IF you are accused of domestic violence and not yet charge, we may be able to help you avoid charges and being arrested. Before proceeding any further, you must enlist the help of one of Michigan’s finest law firms, LEWIS & DICKSTEIN P.L.L.C. Call us today for a free consultation at (248) 263-6800 or complete a Request for Assistance Form and an attorney will promptly contact you.